Jimmy Carter’s vile anti Israel tract aptly titled “Palestine: Peace and Apartheid” brings to mind the UN sponsored anti racist conference in South Africa which became the launching pad for the resurrection of the new global anti Semitism. Carter’s slanders and outright falsehoods expressed in a sanctimonious manner have been exposed and condemned in reviews written primarily by Jewish activists. The media fest accompanying the book launch enabled Carter to even further embellish his Orwellian libels against Israel. Regrettably much of the mainstream media failed challenge the preposterous lies being disseminated. If Carter’s book were merely another example of the increasing flow of tracts demonizing Israel, it would be of little consequence. But this book was penned by a former United States President who, despite antipathy to Israel, played an important role in the negotiations leading to peace between Egypt and Israel. In addition, besides being the world’s greatest superpower and the domicile of the majority of Diaspora Jews, the United States remains one of the few nations in which public opinion remains steadfast in support of Israel. It is the one country which is more important to us than all the other nations of the world combined. 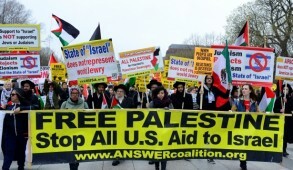 Ten years ago it would have been inconceivable for Carter to state that the “abominable oppression of Palestinians by the Israelis is worse than South African apartheid.” He was undoubtedly emboldened to do so due to the intensified international delegitimization of Israel following the disastrous unilateral disengagement and the Israeli government’s subsequent pathetic efforts to appease those seeking its destruction. Today Israel’s global image is probably more negative than it has been at any other time since its creation. As the shadow of the Holocaust recedes, a ferocious new wave of global anti-Semitism, fuelled by traditional anti-Semites as well as Muslims, has re-remerged. To make matters worse, in the new post modernist climate liberals and the left wing establishment have targeted the Jewish state as the symbol of colonialism and the violation of human rights. The “progressive” chattering classes now even challenge the moral legitimacy of Israel and predict its demise! 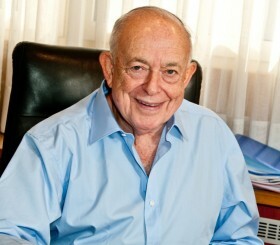 It is symptomatic of the prevailing paralysis in our government that while prominent American Jewish activists have taken up the gauntlet in response to Carter’s bizarre attacks, the Israeli Foreign Ministry has remained silent and has given the appearance of being unperturbed by the dissemination of this new flow of anti-Israeli propaganda. This is merely another example of the mishandling of the entire course of the global battle for ideas by the Israeli government. It is a major reason why we are so effectively being defeated by our enemies in this crucial war. Now is the time for the Prime Minister to seek innovative ways to get his house in order. The Bush Administration may not have adopted the Baker Report, but its influence and impact on future policy development must not be underestimated. The report, which has already been lavishly praised by the PLO, contains alarming recommendations impinging on Israel’s future that we ignore at our peril. Combined with recent disconcerting remarks by Robert Gates, the newly appointed Secretary of Defense, the report demonstrates that we failed to convince the American people of the extent of the Iranian threat. The report also resurrects the false mantra that the solution to the Iraqi imbroglio (and all the woes of the Middle East), lies in resolving the conflict between the Israelis and Palestinians — a code message that Israel must be pressured to make further concessions, irrespective of the impact to her security. 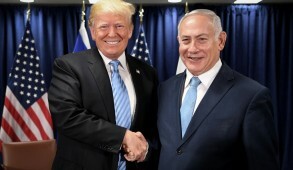 This is reflected in the recommendations to solicit the cooperation of Syria and Iran, that Israel unilaterally give up the Golan heights, that the US cooperate with a Palestinian “unity” government including Hamas, and that Israel engage in negotiations over “the right of return”(sic). If implemented, these policies would have catastrophic repercussions on Israel. It is thus crucial that the government and Foreign Ministry raise themselves from their stupor and consider new approaches to stem this new threat. The Jewish people have always relied on their intellectual and moral leaders to pave the way. This would be an ideal opportunity for the Foreign Ministry to get off its high horse, cease its idiotic posturing in trying to rebrand Israel as a hip country, and renew the relationship with Diaspora Jewish activists. 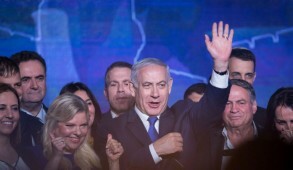 The former nexus between Israel and the Diaspora was consciously severed during the initial heady days of the Oslo Accords when the Rabin government convinced itself that, in view of the “irreversible peace process,” support of Diaspora Jewry was superfluous. Foreign Minister Tzipi Livni (who has just resurrected the global conference on anti-Semitism) should invite to a consultation a number of key Jewish experts from the leading American Jewish organizations engaged in promoting the case for Israel. She should ascertain whether their skills could be harnessed more effectively in the war of ideas. The invitees should include the three leading American professionals in the Jewish political arena — Malcolm Hoenlein, David Harris, and Abe Foxman. The American Jewish Committee and the Anti-Defamation League have formidable resources and could possibly be persuaded to intensify their existing activities in this area. Consideration should also be given to undertaking long term information related projects such as the creation of a global Jewish TV satellite station. This should be a genuine partnership and the views of the Diaspora experts should be heard with respect. Needless to say, they would not be involved in any manner with policy formulation. 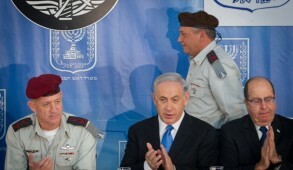 They would concentrate exclusively on means to effectively promote the case for Israel and the Jewish people. The American Jewish experts have a profound insight into their domestic political turf and can also reach out to sectors of society that are beyond the Foreign Ministry’s reach. Even more importantly, they can enroll the support of leading American Jewish academics, intellectuals, and writers who are willing to volunteer their services in support of Israel. The time for action is now. Minister Tzipi Livni could, in a matter of days, form a small advisory group which would include Israeli, as well as Diaspora, experts. This proposal may sound somewhat like a stab in the dark, but these are times when we should dispense with the norm and explore new solutions. It is disgraceful that during these difficult times we have failed to utilize the outstanding Jewish talent both here in Israel and in the Diaspora. Many of these, out of understandable disgust with corruption in Israeli politics and alienation from the parochialism of Diaspora Jewish affairs, tend to shy away from public life. But in these troubling times, a substantial proportion of them would unquestionably be willing to assist in Israel and the Jewish people in the battle for ideas.